Here is a list of everything Kuku's can have, however you may click the links to see more detailed explanations of the genes, namely examples and how far they can reach the body. Fate points (FP) are a way to follow your Kukuri's path to maturity and their experience in life. It's used to unlock new skill point and breeding bonuses, not to mention some other things. Every time your Kuku is involved in a picture, drawn by you or someone else, you're eligible in getting points. Below are the amounts of FP you can get depending of the picture. Make a FP tracker to keep count of how many points you have! Everyone starts their life little inexperienced, and for that we have training. Be it training for the future, to withstand certain things, learning to fight or protect, it all needs to start from somewhere. This section explains the pivoting points of Kukuris lives which they need (and get) training for. While some of these are mandatory to unlock certain parts of the activities for your Kukuri (BTT for breeding, for example), some are optional and only give you bonuses. Each training section has a list of prompts you can choose from. Read carefully what each prompt contains and what are it's requirements! Be also to make sure to read how many of these prompts is required to finish the training. If you desire to do more than required amount for lore reasons, for example, you are free to do so. Traveling is one of the activities of Kukuri-group. While living home and seeing familiar faces is all good and fine for most, some crave the thrills of seeing new lands, cultures, and faces. From your travels you find many interesting items that you can sell for Cr or use for crafting! ✿ First thing to do is to create an activity journal - this can be made in the sta.sh writer or creating a public journal about it. 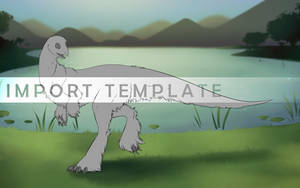 In the comment section create 4 links - "Hunting", "Gathering", "Excavating", and "Traveling." The minimum requirement for the journal is simply a link or thumb pic (which links back to the import) to your Kukuri, and links to the comment threads (they are required). Using the same journal for all of your Kukuris is recommended. 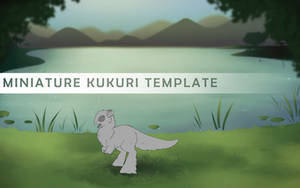 Excavating is one of the activities in the Kukuri group, where you can go dig around your familiar surroundings or perhaps go down to explore some caves to find some hidden goods, which can be sold for Crescents or used in crafting! THIS TRACKER MUST BE SEPARATE FROM YOUR FP TRACKER to keep things clear. Please post any questions and concerns below! We will get to you as soon as possible! ThoseWhoWentMissing has a dual-scoring system. Players earn points for submitting to the group and characters earn points for being portrayed in those submissions. This guide was updated January 13th, 2019. You will receive AP every time you contribute artwork or writing to the group regardless of whether you own an esk or not. AP is your reward for expanding the esk lore and collaborating on the game's world-building. Earn Aura Points to unlock features in the game and earn MYO slots! 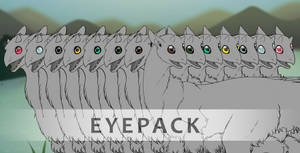 Esk characters receive GP every time they are depicted in a piece of artwork or writing that you or other players submit to the ThoseWhoWentMissing group. Whenever your character wants to change its form, gain powers, or create a new esk it must use up some of its GP. [Retired] Kukuri Genos FS/T(Fluzzy Tail|Lynx Ears)This journal is retired and no longer up to date. For an up to date sales journal please check out this link. If offering Art or Lit, please read this. I'm also looking for Griffia Items listed here. Gathering is one of the activities in the group, where you can search for plants and berries. You can later sell these findings, or use them to craft potions, medicine and dyes alike. FP tracker (and how to make one)The FP trackers are handled in Kukuris little bit more differently than other ARPG's, and this page explains how they're done. We would like to remind you that this system is not meant to make it more difficult for anyone, but instead this eases the job when it's time for your Kukuri to get status updates. Some questions have been answered at the bottom of the page. To have your tracker counted, it must be put on the status updates! The tracker spot in your imports is only for the convinience's sake. Hunting is one of the activities in the group, where you can hunt with your Kukus for pelts, skulls and bones by drawing art of it or writing. You can later sell these findings, or use them for crafting! Here you can breed your two Kukuris together and get possibly more Kukuris! The wonders of life! DO NOT QUESTION ADMINS ABOUT THE PASSING RATES OR PERCENTAGES. Everything that is public reads on this page. Closes before last day of the month. give them a permission here! Are you a newbie looking for your first Kuku pup, or do you have some extra pups yourself you'd like to sell for newbies? Whichever the case, this is a place for you. ° First and foremost, you must not own (or have owned) an uploaded Kuku or a Kuku geno (as in an undesigned one). This is meant only for people who are looking to get their first Kuku. Also, your account needs to be at least one month old! ° Secondly, take a look at this google doc to see are there any Kuku pups available. If there is, pick two which you like! If there is only one left, you do not have to fill in the second choice. This guide is here to help those who're new or confused about some facts. If you as a newbie or past-newbie have something what confused you and it's not mentioned here, please feel free to comment so we can effeciently help other new members and give them easier time beginning? The term ARPG is short for 'Art Roleplay Game' or 'Artistic Roleplay Group'. It is basically an RPG game made by artists for artists: it combines elements of RPG gaming with art. Generally an ARPG will focus on an original species designed by the group, such as the Kukuri. 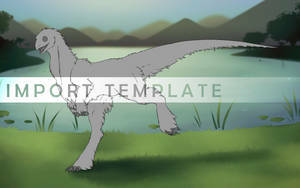 Kukuris resemble raptors in many ways, expect that they have developed fur, ears, size and bigger brains. They are an old species and have evolved many subspecies which are all breedable, however many traits of them seem to be more common than the others. Average height: back at 5,5ft-7ft (167cm-213cm) , with smallest going to 4,5ft (137cm), and largest to 8ft (243cm). Average height: back at 7ft-9ft (213cm-274cm), with smallest going to 6,5ft (198cm), and largest to 9,5ft (289cm). A handler, rider, or trainer, these all terms refer to the same thing: The one taking care of your Kukuri. Now, handlers are the most free things about the group. The only requirements are that your handler has at least one hand, and passes the smaller handler size shown above. This doesn't have much lore-centric reason, as Kukus can be trained to be docile and thus handled even in smaller sizes, but anything smaller than that would be hard to see in the images, and thus some thing requiring a handler may be impossible. A handler can be smaller than shown above, but they will not NOT be passed as handlers in official images, nor will you get the handler FP bonus from it. The exception is when the Kukuri has the mutation "Miniature." In pictures only showing and concentrating the miniature, a smaller handler is passed as long as it's smallness is still relative to the char provided above.